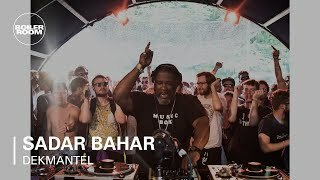 Sadar Bahar will be taking over the top floor of the Deaf Institute all night long bringing you over 40 years of experience and a record collection to match it. Sadar has been collecting rare disco, funk, soul, boogie and house music since the early 80s after deciding to follow a different path from many other DJs who were heading towards more electronic sounds. This has led to Sadar possessing a unique collection of records numbering in the tens of thousands. In room 2 Jaoquin Cornejo will be showcasing his unique productions and DJ style, fusing South American rhythms with a variety of electronica. Following releases on Shika Shika, Konn and Shango Recordings he's just produced a track with El Buho, featuring on his new album. This is sure to be a big year for the Ecuadorian! In the basement, Bombard Groove residents Guy Thoughts, Uncle Finn, Marlon Merry and Lovatt will be keeping up the tempo with a variety of Soul, Funk, House and World Music groovers.